Hearing loss is one of the most common problems in the United States, with millions of people of all ages and different walks of life affected by it. Some hearing loss problems are acquired from birth, but others are developed throughout the lifetime, with causes ranging from physical trauma to workplace injuries. Hearing aid evaluation in Fort Smith is very crucial for those with hearing loss who want to regain their sense of hearing. This is done so that the right hearing aid is determined according to the patient’s unique needs and situation. Sometimes called as an audiological evaluation, hearing aid evaluation in Fort Smith are conducted after a careful history of the client is gathered through a direct interview or from a physician’s report. 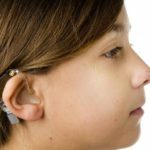 The success of a hearing aid evaluation in Fort Smith will have a significant impact to the normalization of the life of a patient, as well as his social life in general. There are many steps involved in the hearing aid evaluation process. A hearing evaluation is the first step, followed by interviews on family history, general health history and hearing-related experiences before and in the present. The doctor may also ask about symptoms of hearing loss like tinnitus and dizziness. If your tests reveal permanent hearing loss, you might be recommended to have a hearing aid. The doctor will then guide you on how it works. The longest process will be in determining and testing different hearing aids that will suit your condition. A good ear doctor will guide you through the process and make sure that you get the right hearing aid for you. Arkansas Center for Ear, Nose, Throat, and Allergy offers comprehensive hearing aid evaluations in Fort Smith. You will get the best ear doctor that will help you find the right hearing aid for your condition and help you get back to a normal life. Not only are our doctors adept in ear treatments, but we are also known for providing follow-up care and support to make sure that our patients get only the best.